The country's first orbital launch of 2018 came after a similar liftoff from the cosmodrome in eastern Russia ended in embarrassment, with officials losing contact with a string of satellites last November. "In accordance with the flight programme, the Fregat upper-stage placed into orbit space vehicles of main and secondary payloads," the space agency said in a statement. Both the Soyuz rocket and the upper stage "performed without a glitch," the statement added. Dmitry Rogozin, the deputy prime minister in charge of space, said contact with Russia's Kanopus-V earth monitoring satellites had been established. "Thank you everyone," the official tweeted. Thursday's launch had been initially planned for last December, but was postponed due to the November accident. 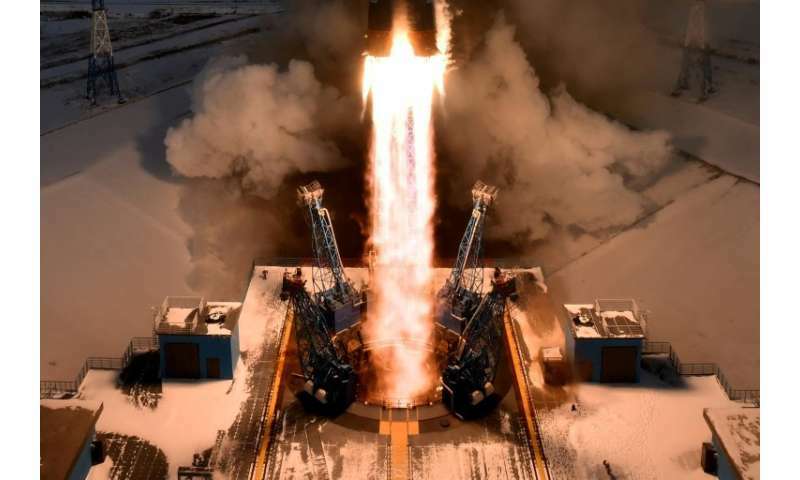 In late December, Russia lost contact with Angola's first national telecoms satellite launched from the Baikonur cosmodrome in Kazakhstan but several days later officials said they had restored communication. It represented a major development for the country's space sector, with the new cosmodrome touted to mark a rebirth of the industry.